"Depending on God, Who is our sufficiency, with faith in Jesus Christ as Savior, Sanctifier, Healer, and Coming King, to promote unity of faith in His fullness, and spread the Gospel at home and abroad under the guidance of the Holy Spirit, the following Chapel Bylaws are adopted..."
What is now Riverview Alliance Church defined itself with that preamble and followed it with, "The name and title by which this Christian Fellowship shall be known in law is 'The Oconto Falls Community Chapel'"
In the mid-1970s several ladies had been meeting for a Bible study and discussed the need for an evangelical church in Oconto Falls. Nancy Desremaux, neighbor of the existing building at 622 N. Main St., Oconto Falls, attended church in Oconto and tried to help establish such a church closer to home. After this disappointment, Mrs. Desremaux asked Rev. Warren Worden, pastor of her home church, the Oconto Gospel Chapel, Oconto Wisconsin, to help start a church in Oconto Falls, too. He declined. "As I recall, I just didn't feel it was the right time," Rev. Worden said. "I wanted to know there was a core group and know how solid they were, how intent they were." A year later, in 1976, Mrs. Desremaux asked again, and in December, Rev. Worden met with the inital group of believers: the Bob and Polly Keller family, the Wendell and Yvonne Sagear family, the Dennis and Mabel Vaughn family, Barb Lotter and Nancy Desremaux. Rev. Worden agreed then to begin services in January 1977. They met early on Sundays at the Sagear or sometimes the Keller home, with Rev. Worden preaching at Oconto Gospel Chapel in the morning. "He was very faithful about coming every Sunday," said Mrs. Desremaux. By March 29, 1977, the group voted to purchase the property of the current church, then owned by Dan and Nancy Desremaux. On May 12, 1977 the group of worshippers was incorporated by the state as Oconto Falls Community Chapel, Inc. a not-for-profit organization (Article 1.). The other Articles of Incorporation significantly state the following: "Article 2. The period of existence shall be perpetual. Article 3. The purposes shall be a spiritual and educational ministry of leading people into a saving faith in Jesus Christ and of developing Christian character as taught in the Bible, and shall be wholly non-profit." The tiny congregation was officially a sister church of Oconto Gospel Chapel, which is part of the Christian and Missionary Alliance. The church bought the Desremaux property with a garage on it on September 7, 1977 with a $10,000 loan from the State Bank of Green Valley and another $10,000 mortgage from the Desremaux's themselves. While the church remodeled the garage at 628 N. Main St., probably September into November, they met in the basement of the Masonic Lodge #293 (no longer standing) on the corner of Caldwell and Adams. After spending about $800 on materials (and a Sears Porta-Potty), the group began to meet in the garage. "I'll never forget that," said Mabel Vaughn, now of Green Bay. "It was so cold in there. We'd tried to get the place a little bit presentable, putting up sheet rock and insulation. And then there was the Porta-Potty! When I think back on how long we met in that garage and how cramped it got, I know the Lord had to have His hand on the situation. It was all worth it." "I remember it got a little cozy inside," said Tiffany Keller, now living in Washington State. But pews were bought, Bob Keller would play guitar and lead the singing, and dividers were put up so there could be Sunday School classes. "When Rev. Worden preached and you sat in the front row," Elton Cleveland said, "you really had to look up because he's tall, and you were right there!" About February 1978, the church bought a piano, and Barb Lotter became the pianist. The group made more improvements on the "rustic" building early that year, upgrading wiring and adding carpeting. Rev. Worden and his sermons are fondly remembered by all involved. "He is a wonderful, wonderful man." Mrs. Keller said. "I didn't want to come here (to the garage congregation) because of my job," said Ken Huibregtse, who with his wife Sherry started attending in late 1977. "I knew they were going to have a building program, and so on, and I was already working six or seven days a week. But it was the best thing that ever happened to me because I really grew spiritually." "The closeness stands out in my mind." said Mrs. Huibregtse. "Rev. Worden was really a great teacher and mentor, and all the pastors were wonderful." 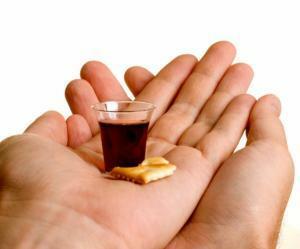 The Bible studies and potlucks held in several families' homes were common fond memories. "It was really a special friendship we all had. It was a big family kind of thing," said Karen (Koenigs) Gustman, who began attending in 1979. Yvonne Sagear, Green Bay, believes her children are so strong spiritually in part because they grew up in the Oconto Falls Church. The young church held a special place in Barb Lotter's spiritual heritage because she was saved in the women's Bible study in November 1976 and grew a lot spiritually in the church. Now living in Green Bay, she said Rev. Worden gave excellent sermons. Rev. Worden's ministry to the little congregation was strictly out of obedience to the Lord. According to the financial records of the church, Rev. Worden was paid $25 per week from January 1977 through January 1978, and then was paid $35 through January 1979. He continued to serve the Oconto Gospel Chapel as well. In August 1979, the congregation rented a large tent, set it up near the road and had meetings with the Calvary Singers, an evangelistic singing team from Texas. Turnout for the meetings was very good and the group became more recognized by the community. "I think that was a key turning point both spiritually and in enthusiasm," said Rev. Worden. "They began to feel that they were really a church, that they were on their way." Several new couples joined the church after that, and Rev. Worden believes that gave the little congregation new impetus. In August of 1980, the church brought the Antone Indian Singers to Oconto Falls High School for special meetings, and by this time the little congregation was contributing to the missions regularly, too. Ad the congregation continued to grow, they considered putting up a house trailer on the property, but the request was denied by the city in May of 1980. In September 1980, Rev. 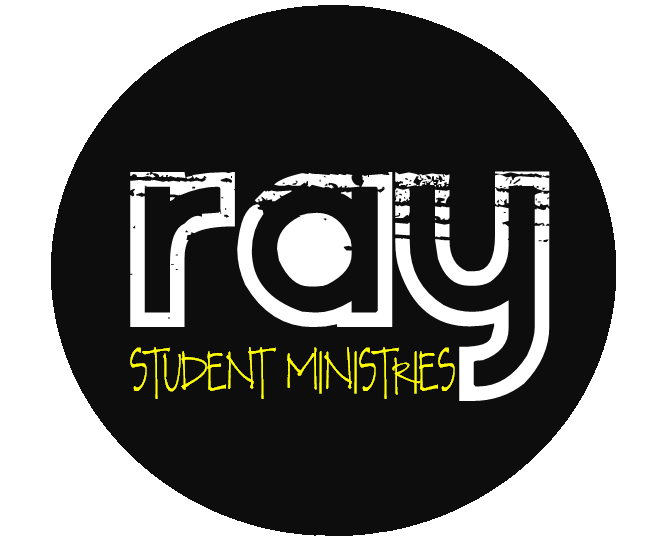 Roy L. Williams began as pastor, and the association of sharing a pastor began with the Maple Valley Community Church, Suring, Wisconsin. These were the first congregations he and his wife, Valerie had served. Average 1980 Sunday attendance for the Oconto Falls church was 35. The congregation considered two options for adding on to the garage about August 1980, but nothing developed. In January 1981, with the help of the Oconto Gospel Chapel, the congregation paid off the Desremaux mortgage. 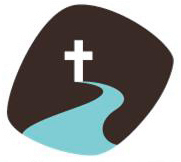 On May 26, 1981 the church officially changed its name from Oconto Falls Community Chapel, Inc. to Riverview Alliance Church of the Christian and Missionary Alliance, Inc. This would more clearly identify the church with its denomination. The 1981 annual report to the Christian and Missionary Alliance district office indicates that regular attendance was 40, with an operating income of almost $6,300 for the year and building fund income of $382. A child Evangelism Fellowship Club was the summer children's program. As the congregation grew and the building became more crowded, they moved into the then-new Senior Citizens Center, 512 Caldwell Ave., from June 1981 to spring 1983 before returning to the garage. Soon after returning they upgraded the 24-by24 foot garage and added a bathroom and even a nursery. During this time, various new buildings and plans were considered, including a dome building, but the progress was slow. "The thing that stands out to me is the number of younger Christians and the determination to have a church," said Rev. Williams, now in Grand Rapids, Michigan. "There was an unwillingness to let the financial limitations stop the church or prevent them from getting a building." Rev. Williams left the church in October 1983 for a pastorate in Milaca, Minnesota and December 1, 1983 Rev. T. Wayne Larson with his wife Ruth came from Minnesota to begin serving the church. Average Sunday attendance for 1983 was 45. Notes from a building committee meeting in February 1984 show that the members settled on a new architect and noted, "We will not decide on a building without a congregational vote. We don't want a sketch hanging on the wall until it gets moldy." The first-ever children's Christmas program of the church was performed in the garage in 1984 and was made complete by the star being pulled over a fishing line into place in the "sky" by young Tony Fischer, son of Eric and Carolyn. This was also the last Christmas program in the garage chapel, as plans for a new building continued to develop and new families were drawn to the congregation. The last payment of the original bank mortgage was made in July 1985, and the elders held a mortgage burning ceremony in August. The service was held in the garage on November 24, 1985, and the garage was razed the next day. The average Sunday attendance in 1985 was 55 people. Services were held temporarily in the basement of the Gillett State Bank building (currently the Wells Fargo Bank) at 225 E. Central, Oconto Falls. Unusually warm winter weather was a blessing - the church was able to pour the walls for the basement of the new building on January 9, 1986. Although the 57-by-42 foot building was barely roughed in, the congregation began meeting in the basement March 1, and no one seemed to have minded the unfinished surroundings, even climbing down a makeshift stairway to get into the basement. In fact average attendance then was 68. The church members themselves did as much work as possible, led by Carlton Krueger, a pre-fabricated building salesman who joined the church. By July 1986 the building committee was discussing carpeting, lighting, landscaping, and parking lot leveling for the almost finished 6,300 square-foot building. The cost was about $140,000 with indebtedness of almost $90,000. On May 3, 1987 the new building of Riverview Alliance Church, 628 N. Main St. Oconto Falls, Wisconsin was dedicated. Pastor Larson started the first Christmas Eve service in 1988 and was surprised at the high turnout then, just as it is now. The Pioneer Club children's mid-week evening program, began in 1988 and changed to King's Kids in 1992. The youth met with the Maple Valley Community Church youth until 1990 when Riverview began its own youth program. The same year Riverview started its Christian Education Committee to coordinate all the new ministries for the children: VBS, Sunday School nursery, youth group and Pioneer Club. Rev. Larson moved to Houston, Minnesota where he began pastoring the Bethany Evangelical Free Church on April 12, 1993. Pastor Kevin L. Kuhn came from Lewistown, Montana with his wife Cheryl and began serving Riverview Alliance, his fourth permanent pastorate, in November 1993. He'd been in the ministry for 16 years. Average Sunday morning attendance was 69 then, and the senior high youth program was the bright spot in the church with 15 youth attending. The debt-reduction program started in 1995 with the offering of every fifth Sunday designated only for paying down the church's debt which was at that time $70,000. Due to the faithful and generous giving of the congregation, the church was able to burn the paid-off mortgage on June 20, 1998. The Kawaii grand piano was purchased the same year. Ministries that developed about this time were the divorce-care ministry (1996), which has to date had more than 50 people involved and the Sunday evening prayer meetings (1997) to pray about the church and a new building or addition. "I think this has been a place were a lot of people from different denominations - Lutherans, Catholics, Methodists, Presbyterians - could come together and learn how to really walk in the Lord," said Rev. Kuhn. The church continued to grow in numbers, and on February 18, 2000 the building committee had its first meeting with the architect. On April 6, the congregation voted unanimously by secret ballot to begin building when $50,000 has been raised. Ground was broken with an old-fashioned plow on August 6, 2000. Most of the congregation held onto a rope attached to the plow while the first furrow was made. Once again the congregation and pastor did as much of the work as possible, donating their services to do all electrical, insulation and sound work, painting, finish carpentry, carpet laying, landscaping, study work for the remodeling, clean up and bringing food to feed hungry workers. John Blosser, a carpenter/construction worker and missionary, was a great and timely blessing to the church as lead carpenter for the project. He also oversaw the first four months of the day-to-day construction coordination with the contractors and volunteers for his expenses only. The 5,600 square foot addition encloses the new sanctuary upstairs and new classrooms in the basement. Also 3,000 square feet of the existing building were remodeled to provide expanded office space, a larger nursery and a comfortable meeting room and library. The congregation worshipped in the new, but unfinished sanctuary November 5, 2000, much earlier than the Christmas Eve service it had hoped for. Altogether $85,000 was raised for the project, including a $4,300 grant from the Oldham Little Church Foundation and $19,500 received from the sale of donated land. The church now has about $140,000 of indebtedness. By spring, the church was completely finished, with all of the bells and whistles included. The June 10, 2001 event consisted of a 9 a.m. anniversary service, potluck, dedication at 2 p.m. followed by an open house and an evening concert featuring The Booth Brothers, a Southern Gospel singing group. 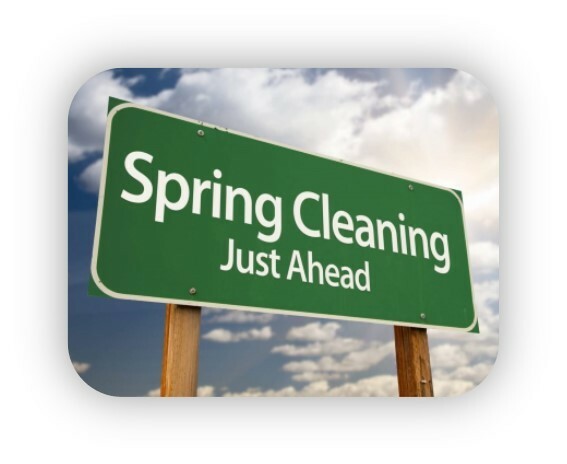 For the last three months prior to the June 10, 2001 dedication to December 2005 the following changes have occurred in physical growth and spiritually. Attendance has averaged 150 for Sunday services. 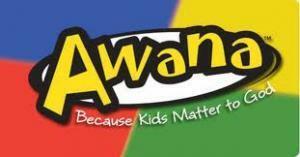 Children's ministry has changed from Pioneer Club to Awana club. A Youth Pastor has been added to the staff which has advanced the Youth Group in numbers and organization. "The period of existence shall be perpetual. The purposes shall be a spiritual and educational ministry of leading people into a saving faith in Jesus Christ and of developing Christian Character as taught in the Bible..."